Boca Bearing offer ceramic bearings and ceramic hybrid bearings specifically designed for waste water management facilities. Boca Bearing Company draws on 25 years of bearing industry experience to offer ceramic bearings and ceramic hybrid bearings specifically designed for waste water management facilities. 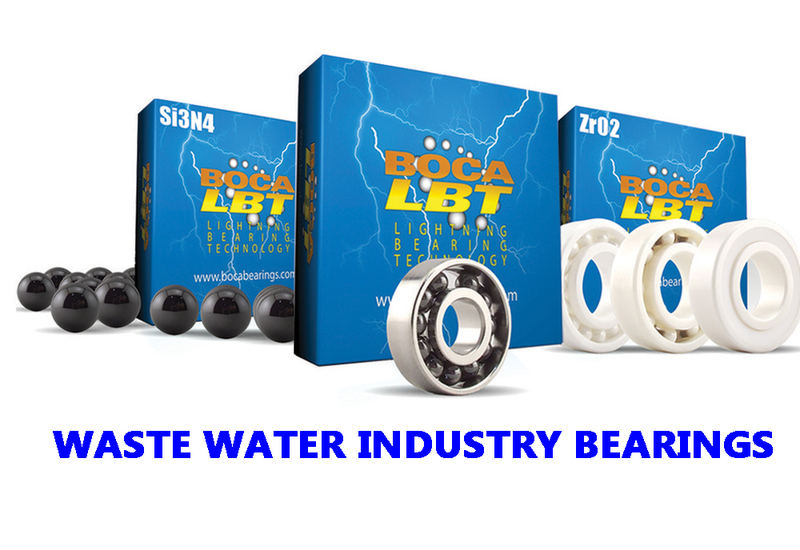 Boca Bearings Company, one of the most trusted names in the ceramic bearing industry, announces today the release of its ceramic bearing line specially designed for the harsh environments and the machinery used in waste water management facilities. Boca Bearings provides solutions for waste water treatment facilities by offering bearings which can work in different types of machines and steps of the waste water management cycle. Boca Bearings’ ceramic bearings require little to no lubrication or other maintenance and can be therefore applied in the different waste water treatment machinery, such as pumps and hydraulic equipment. Since these bearings are virtually maintenance free they will reduce and minimize bearing related down time of plant’s equipment. Facilities around the globe have come to rely on our innovative ceramic and ceramic hybrid bearings designed for operational services in different waste water purification environments. As ceramic bearings do not corrode or rust they can be used with different chemicals, from ion or sodium to alkali, Boca’s bearings can be effectively utilized in these different stages of the water purification phase. All our bearings can be either pre-treated with food grade lube or exposed to the UDL treatment which will allow our bearings to be utilized in well equipment and purified water or water ready for access by direct consumers. Boca Bearing Company, headquartered in Boynton Beach, FL, is one of the most trusted names in ceramic bearing and lubrication technology. The reduction of rolling resistance and conservation of energy has been the company’s hallmark since 1987. Boca Bearing Company is a one-stop-shop for everything from prototyping to production.